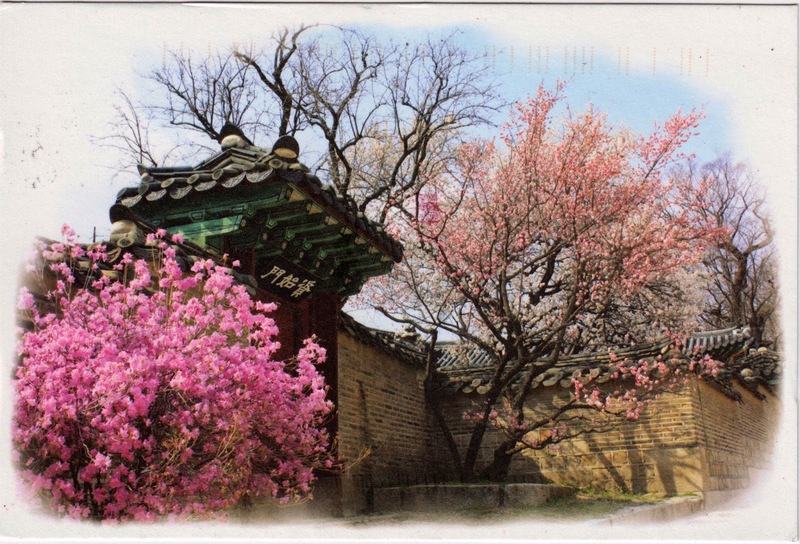 Postcard KR-118364 from South Korea shows a gate (資始門) inside Changdeokgung Palace (昌德宮) in Jongno-gu, Seoul, South Korea. One of the "Five Grand Palaces" built by the kings of the Joseon Dynasty (1392–1897), it was recognized as a UNESCO World Heritage Site in 1997. Can you tell the difference between those cherry blossom trees and plum blossom trees respectively on each side of the gate?